BB Creams --- a huge gift from the Beauty God! Since my first discovery of the famous Blemish Balm Creams, I never stopped using them as my skin can tends to breathe better. How? The answer is simple, I tend to use less foundation or none on a good skin days! 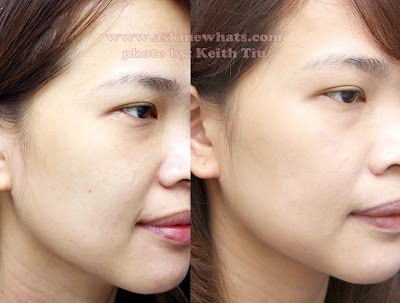 I have tons of "BB Creams"-related queries and the most common question is: "What's the best BB Cream for me?". I'm very consistent in explaining to readers on how difficult it is to find the best BB cream for you without you having to test them on your own. Yes, beauty bloggers are everywhere and almost all beauty bloggers I know have tried at least 1 BB Cream brand! You can probably pick the best BB Cream for you based on a Beauty Blogger who has the same skin type or skin tone as you do but bear in mind that at the end of the day, our skin are uniquely different from others! Skin 79 VIP Gold may be the best BB Cream for me but a friend of mine suffered serious allergic reactions to it! 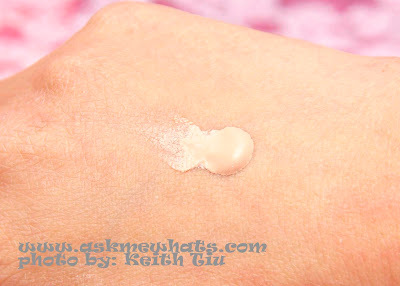 My friend swore on Missha BB Cream but it didn't work for me as it gave me the itch! Can we blame the BB Cream brands? No! That's why I always explain to BB Cream fanatics to do researches, read reviews and then test them! Ask a friend who owns the brand of BB Cream you want to give you a sample or go to the stores and ask if they offer samples! At the end of the day, the best way to find the best BB cream for you is to test them on your skin! And why the fuzz over BB Creams? It's a no-brainer that my review for today is (yet another) BB Cream called Palgantong Vita White BB Cream! This is a one of a kind BB Cream, when wore, results in a poreless, flawless complexion. 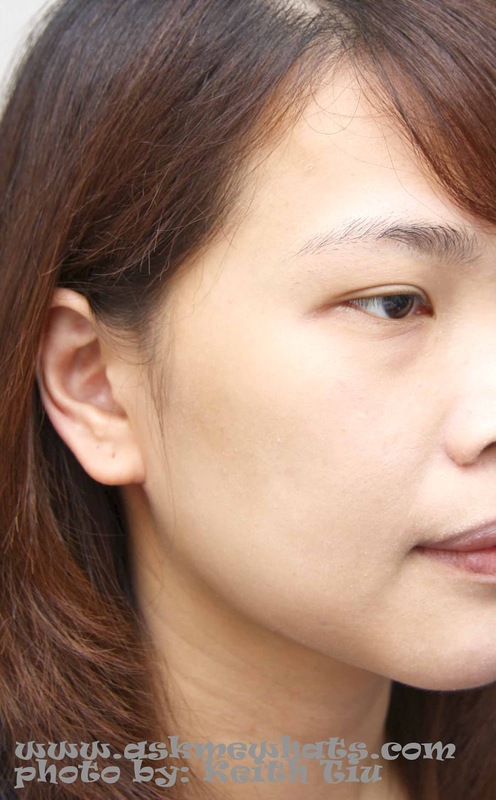 It also has great coverage that can blur out minor imperfections. SPF 30 PA++ blocks off UVA and UVB rays. It also brightens your complexion as you wear it throughout the day. Long-lasting, and great even for oily skin. 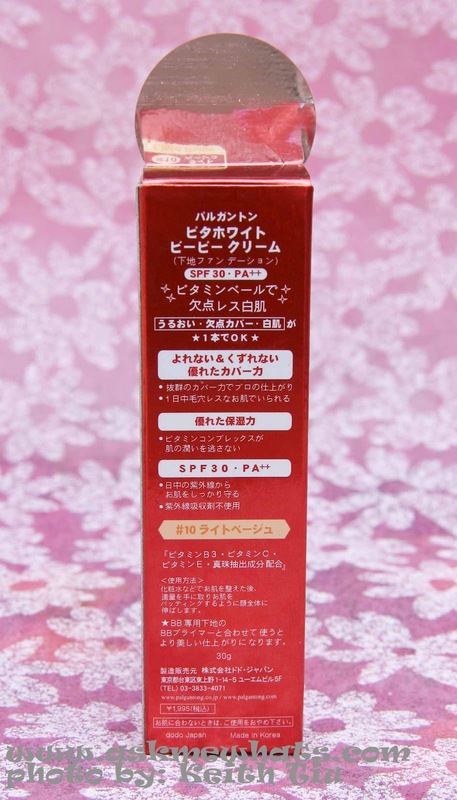 * contains various including Vitamin B3, C and E, & Pearl Extract to reduce the appearance of spots. * good coverage but lightweight in feel. Buildable coverage. From medium to heavy. Stays the whole day even on humid weather. Happy that the 2 shades are meant for yellowish and pinkish tone. At least we have both bases covered. Smooth consistency, easy to blend. Just like most BB Creams, limited shades. Darker skinned individuals may find this to be light. 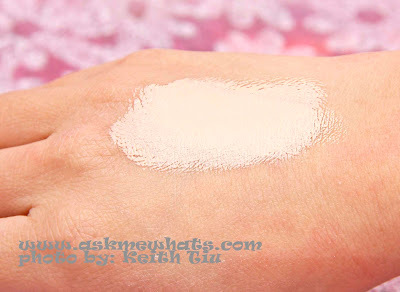 With direct flash, may create white cast due to its SPF content. I'm quite impressed with the Palgantong Vita White BB Cream in terms of its coverage and its creaminess making the product easy to blend. The scent is mild and leaves skin looking fresh the whole day! If you have sensitive skin, do a patch test. BB Cream application comes after skin care routine. Apply with clean fingers. 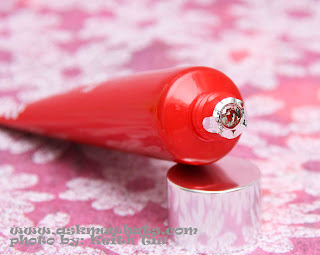 Massage gently and wait for the product to settle down before going to the next makeup routine. If you have dry skin, it is best to moisturize your skin properly then follow with the BB Cream. If you have extremely dry skin, mix a bit of your favorite moisturizer with the BB Cream. I've done it and I love the result. 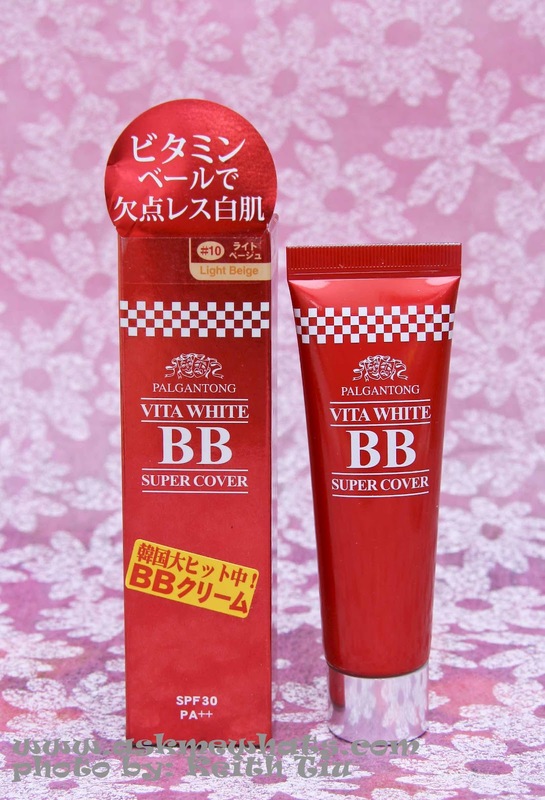 If you have oily skin, you can apply Palgantong Vita White BB Cream as it is as it will result into a fresh, matte finish. If you need more coverage, set the BB Cream with powder foundation of choice. This is the best time to adjust your BB Cream shade. If this is too light on you, it's time to bring out those powder foundations you bought in the past that's a bit too dark on you! Felt the effect is too matte for your taste? Pull out your brightening powders or face highlighters! I may not repurchase for now as I have a lot of BB Creams to finish up. I wouldn't mind recommending this to others though! Normal, Combination, Oily skinned individuals are all welcome to try this! Best for NC20-35 MAC users. 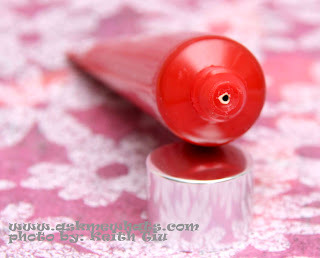 Online via Beauty & Minerals for Php1,200.00 (approx $28.00). The box is written in Japanese. To those who don't know, Palgantong the brand is from Japan! I've seen a lot of girls in Tokyo Japan grabbing random Palgantong Products. They're selling like hot-pancakes there! A tiny amount shows true light beige shade. The color did not came off grey like other BB creams. 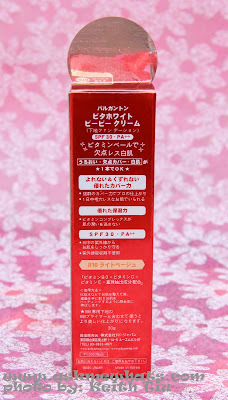 But after a minute or 2, the product settled and it blends into my skin quite well! With this BB Cream, I like finishing this up with a medium beige shade of powder foundation or bronzer to give more life to my overall look. My skin looks more even and the redness were gone. Here's a photo after powder foundation application that's a shade darker than my skin. It made my skin looks healthier. I used to purchase them at Greenhills but the store closed down! At present I own 3 Palgantong products --- The Vita White BB Cream, The Sky Long Mascara and Theatrical Powder. I'd love to try more! Any other recommendations? Hi, Nikki, you're right. this is not conveniently available at a local market. 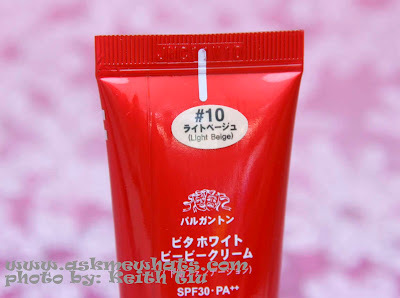 I have tried some other BB cream and CC Cream, but because this one is camera-friendly(it will make your skin glow on a camera), i stick with this. caveat, you need to be well-moisturized before applying this.